Blue.Hour explores the high contrast colors created in the landscape during “l’heure bleue,” the period of twilight each evening when there is neither full daylight nor complete darkness. Directly following the “Golden Hour,” known for its diffused yet powerful light, the Blue Hour retains the diffusion but lacks the strong light source giving this period of the day an especially melancholic and meditative atmosphere. 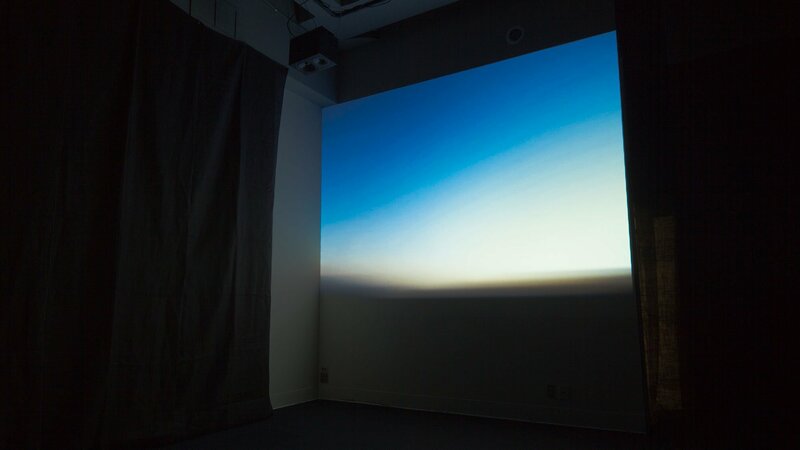 Blue.Hour is presented here in a darkened room with 4 channels of sound paired with a large scale video projection. The piece is formed from photographs and sounds collected in Joshua Tree National Park in June 2010.